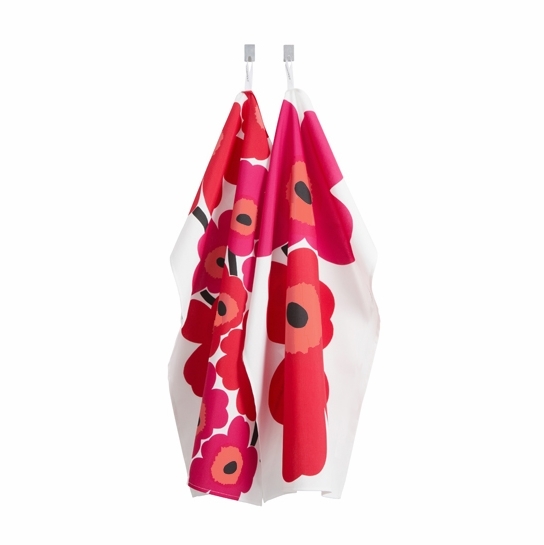 More about Marimekko Red Unikko Tea Towels - Set of 2 Bring your kitchen to life with the Marimekko Red Unikko Tea Towel Set. 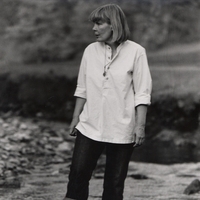 This 1965 pattern by Maija Isola is Marimekko’s most popular, and for good reason. 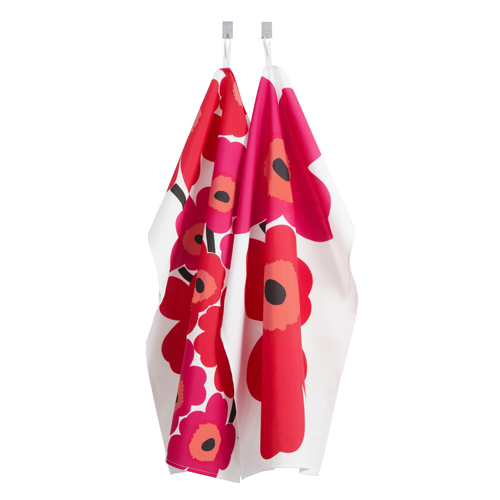 Unikko (Poppy) presents bold and bright color that will add cheer and sunshine to any décor. One towel features smaller-scale flowers lined up in hues of red and pink, and the other showcases two statement-sized blossoms. Made from an absorbent and durable cotton/linen blend, these towels will be as functional as they are beautiful for drying dishes and hands. 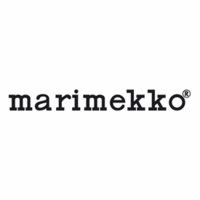 I found that my linen towels are falling apart after years of hard use and chose to replace them with these Marimekko part linen/part cotton towels. These are as absorbent as linen with slightly more body, and (as a bonus) they match many other things in my house. I am happy with them and will buy again. One thing - I think their care instructions are unrealistic and have ignored them. I put these towels right into the washer and dryer, then into my drawer without ironing. I don't see shrinkage, and think they look exactly as they should. 5 star dish towels of course, they are Marimekko. Vibrant touch to the Kitchen! I brought this set for my mother. Her kitchen is mostly white colour, and really stands out making it less dreary. I am going to purchase the other colours in the same design for her. These two tea towels are lovely and large, and brighten up my kitchen.